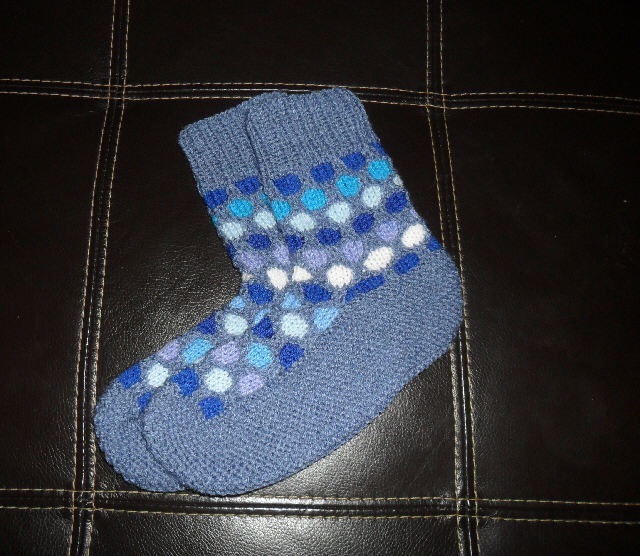 Sock Measurements: Foot 25 cm long To make bigger or smaller socks, use a smaller or bigger sized knitting needles. Socks will stretch a little. 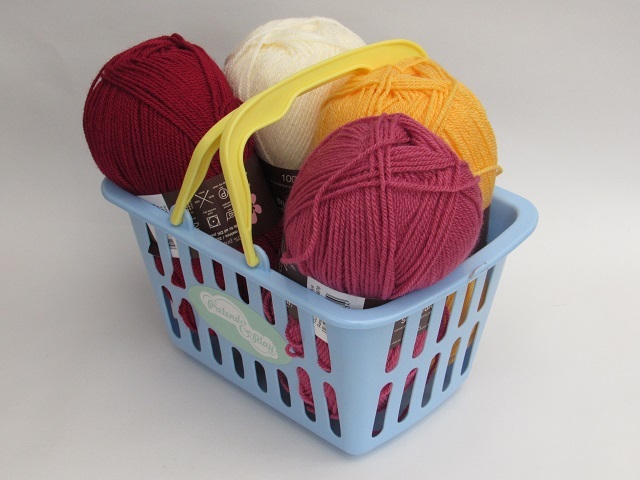 The socks are made with double knitting wool 50gs of each colour, or you can use a 50g ball for the main parts and use oddments of wool for the spot (as in the blue sock picture). 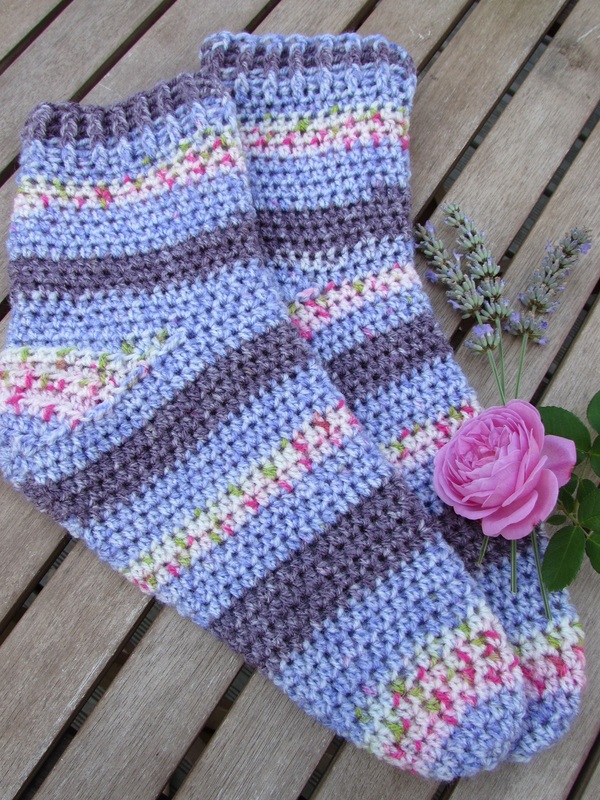 These socks are knitted on 2 pins, but for the foot you will need UK size 7 disc needles or a third size 7 standard needle. 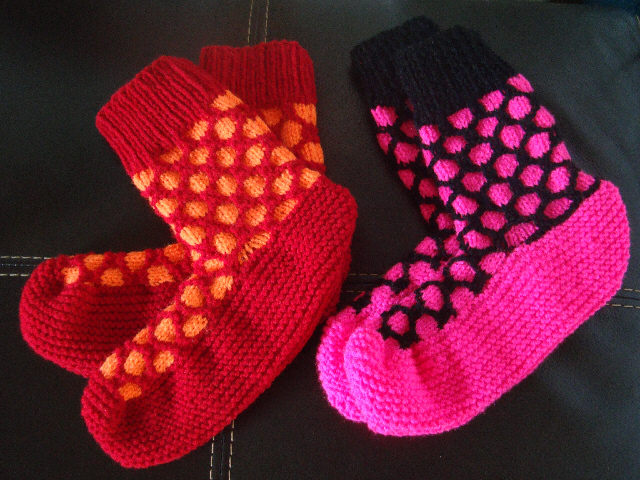 These spotty socks look fun and jazzy and although they might look like a lot of work to create those spots, they are actually a quick and easy and make perfect bed socks or boot socks. 50g of double knitting wool of both main colour and contrast colour. 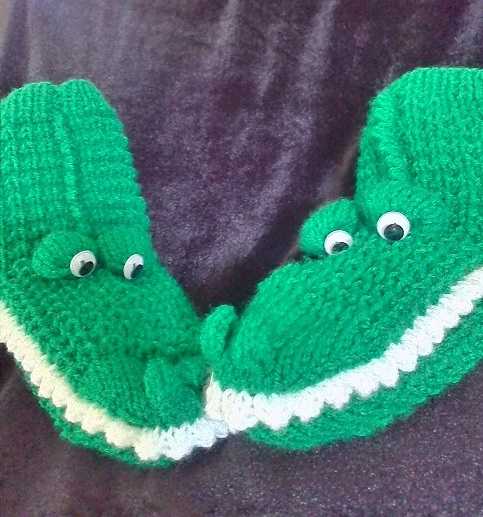 For the foot you will need UK size 7 disc needles or a third size 7 standard needle.